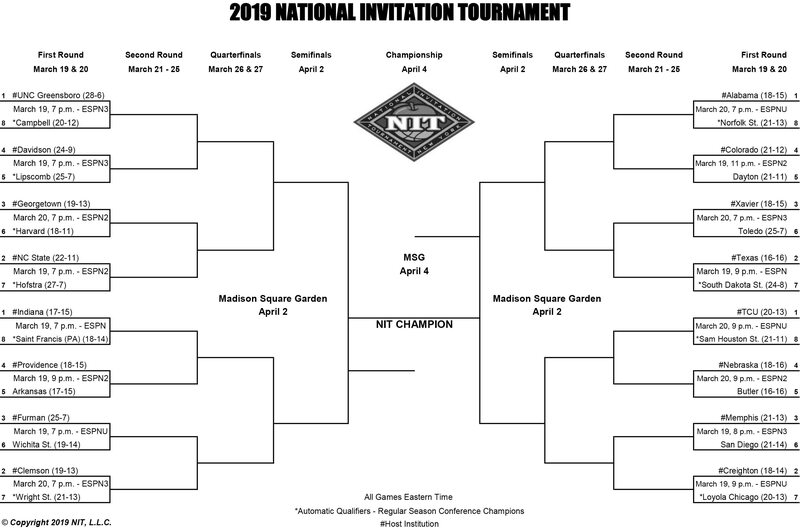 While NC State didn’t make it into the 2019 NCAA Tournament, they have earned a #2 seed in the NIT, and will host Hofstra on Tuesday night in Reynolds Coliseum at 7pm on ESPN2. If the Wolfpack wins they will face the winner of Georgetown and Harvard. If they were to win that game, they would likely face a team from North Carolina in the Quarterfinals. How on God’s green earth UNC-Greensboro earns a #1 seed, and the Wolfpack are slapped with a #2 seed in the same bracket…no words. Just ignore the invitation and concentrate on recruiting. We didn’t earn anything this year except rejection by the NCAA.